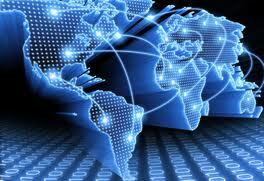 The threat of terrorism and cyber-terrorism has posed an immense challenge in recent times. Cyber attacks in many cities on major businesses across the globe have demonstrated the inadequacy of the State mechanisms to address this challenge. Serious attempts have been made by Nations to address this challenge by designing counter terrorism strategies and anti terror mechanisms. However, most of there are designed in a conventional paradigm, which might be effective in a conventional terror attack. However, there are limitations when it comes to a terror attack of an unconventional nature. financial institutions. Given the increasing dependency of the Indian economic and financial institutions on IT, a cyber attack against them might lead to an irreparable collapse of our economic structures. And most frightening thought is the ineffectiveness of reciprocal arrangements or the absence of alternatives. Cybersecurity threats and hacking attempts rose to 22,060 in 2012 from 23 in 2004, and their nature and pattern have become more complex. Cyberattacks, including website and email hacking, malware infection and targeted denial of service, are being increasingly reported by private users and government departments. We need to reduce our vulnerability to cyberattacks besides preventing cybercrimes while minimising the response and recovery time. This calls for a collaborative framework for protecting our businesses and a multi-layered approach for ensuring in-depth defence with clearly outlined responsibilities for various agencies and departments. We also must conduct regular audits of our IT systems to ensure robustness against cyberattacks while cyberforensic infrastructure needs to be enhanced. This Congress envisages an understanding of the nature and effectiveness of cyber attacks and making an effort to study and analyse the efforts made by India to address this challenge and highlight what more could be done. Blackarrow Conferences is a leading conference organizer which specializes in professional high level business conferences targeted at senior management in a number of industry sectors. Founded in 2010, the company also helps organise strategic conferences for leading International Conference Producers who are looking to foray into the Indian market. The company's revenues are generated from clients from the majority of India’s top 1000 companies. Our network of international & domestic partners provides quick solutions for any company's business intelligence & networking needs.